North and West Finals Voting Deadline: 9 a.m. PDT, Sunday, March 27. Oh, pooh. I wanted DC and PR, and neither made the Finals. 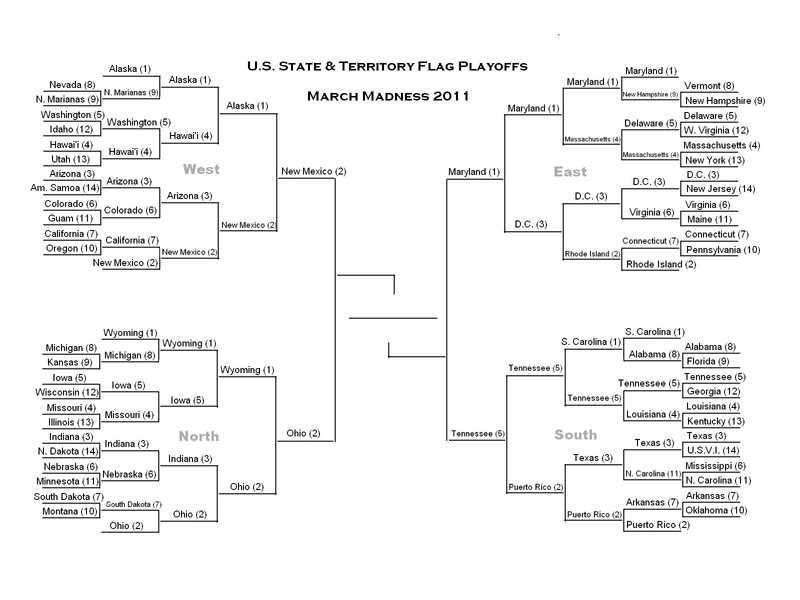 (Pout) Okay, TN over MD. But I hope you lose, Tennessee. New Mexico. 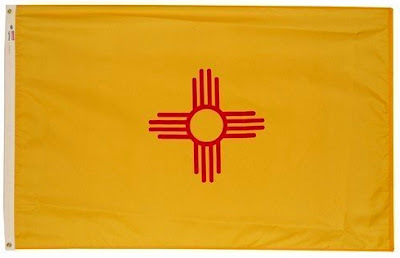 OH is more flaglike, but NM is beautiful and elegant. Maryland. Going with the home team (since I couldn't really decide between them). But I'm amazed that MD is still in the running. 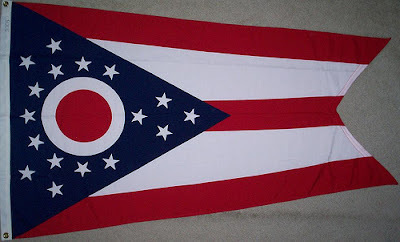 Ohio, not just because it exuberantly dares to shrink inside the box, but because it pulls it off so nicely. Maryland, because it does tricks on a high wire act of not-quite-way-too-much with poise and daring. stores are stocking up on beer and chips for the final! New Mexico over Ohio. New Mexico is going all the way. ANYTHING but Maryland. 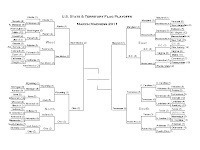 Tennessee to the finals! 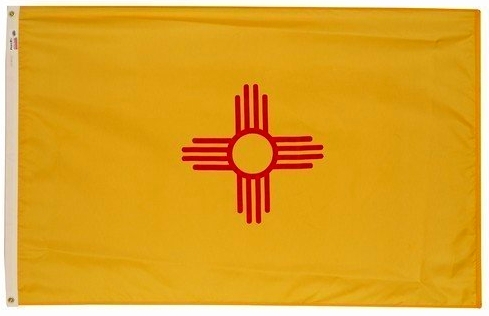 New Mexico - I've just grown weary of red white and blue, and all those stars. Do they even mean anything? 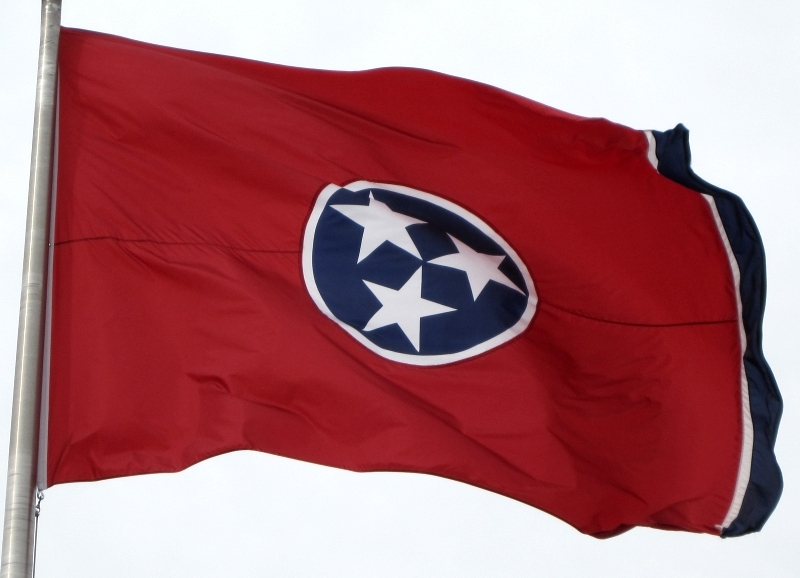 Tennessee - Please, please, people: remember you can only vote for one flag in each matchup. 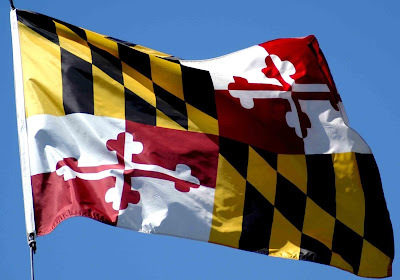 That means don't vote for that mess of four to six flags that Maryland puts on its poles. 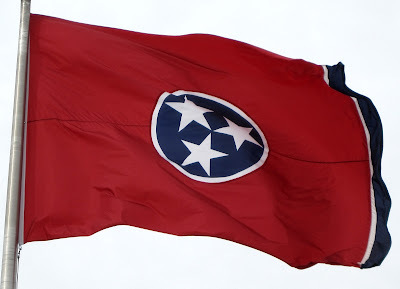 You know, I really didn't want to think that hard about what Maryland puts on its poles, so instead I'll look at Tennessee. Now that's a classy looking flag. Also Tennessee is fun to type.